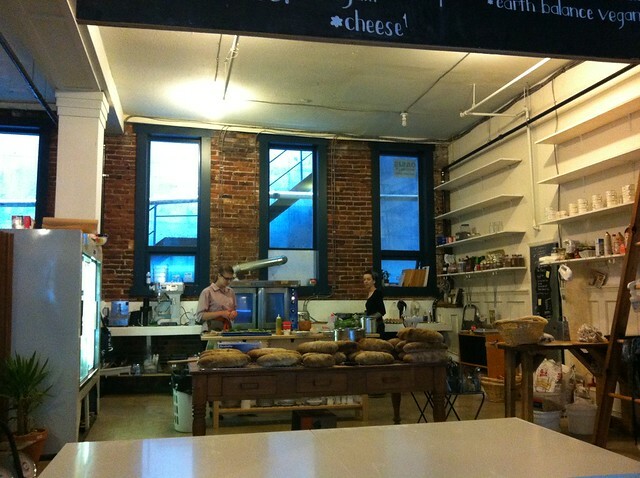 Breakfast at Nelson the Seagull coffee shop in Gastown on August 24, 2011. 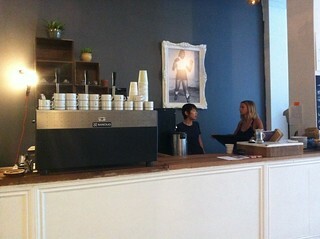 I finally made it to this hip, new Gastown coffee shop. 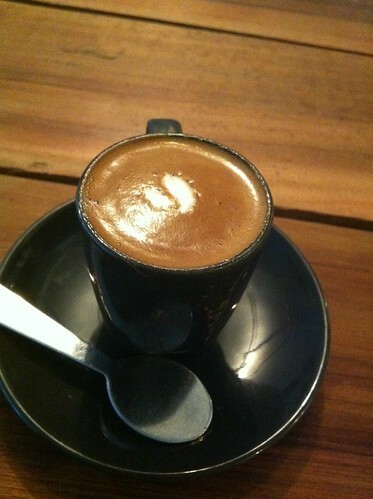 The inside feels more like an artist's open space or commune with its hipster, trendy charm of a New York street cafe. 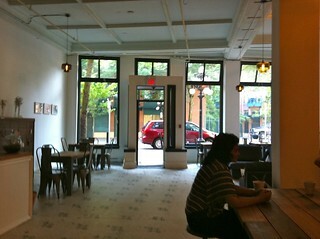 With no doors, and everything open, it's a refreshing place to grab coffee or breakfast. 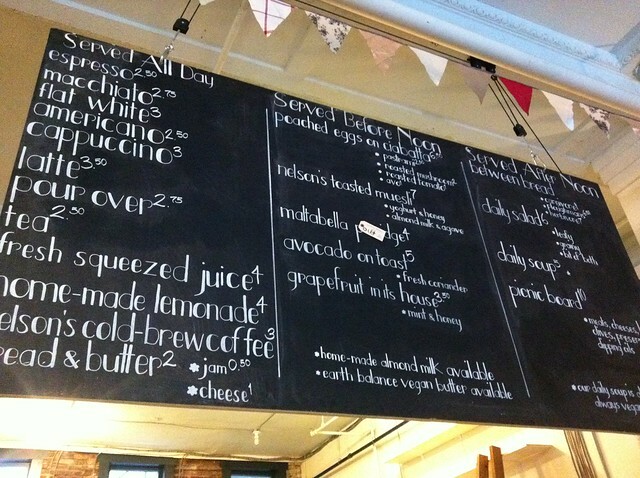 The menu is basic and straightforward. The tiny counter sits more like a flea market till except with an iPad to take orders. 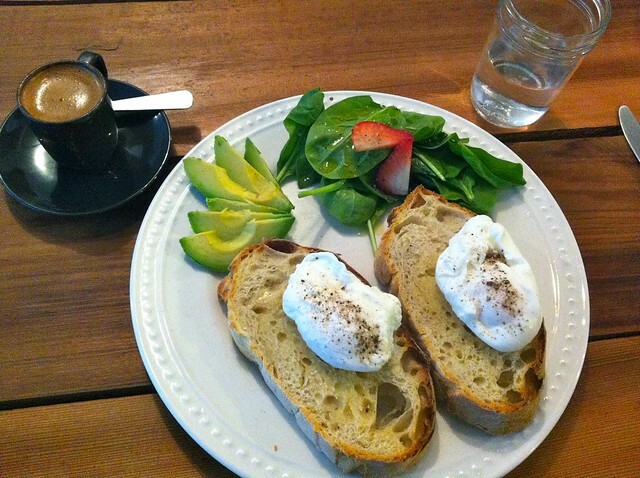 I ordered a macchiato with my poached eggs on ciabatta bread with avocado. It was strangely standard yet deliciously hearty and refreshing. I ate it up. The macchiato was quite strong and did the trick in between egg and avocado bites off my ciabatta. It was such a warm, open environment to eat in. Nelson is beyond charming. A little out of the way, I'll use any excuse to come back for a coffee or snack. If you're ever in the area, do yourself a favour and drop by this unique cafe. informative and exciting in the city events.